Well, here we are. It’s the first Monday following the end of another Kansas basketball season and, predictably, the skies are gray and cloudy around Lawrence, there’s a slight breeze and a chill still hangs in the air. Go with this: Not to worry, KU fans. The upcoming forecast — at least locally — looks much better and there’s sunshine and warmer temperatures in your near future. Sure, this team lost 10 games and bowed out in the second round. And, yeah, the season as a whole was a rocky ride full of frustration, disappointment and confusion. A handful won’t, of course. That’s the case every year. And that’s at least a part of why those post-NCAA Tournament-loss locker rooms are filled with tears and emotion. No matter how one season ends, the next will almost certainly feature a new cast of characters, new roles, new challenges and the patience required to put it all together. 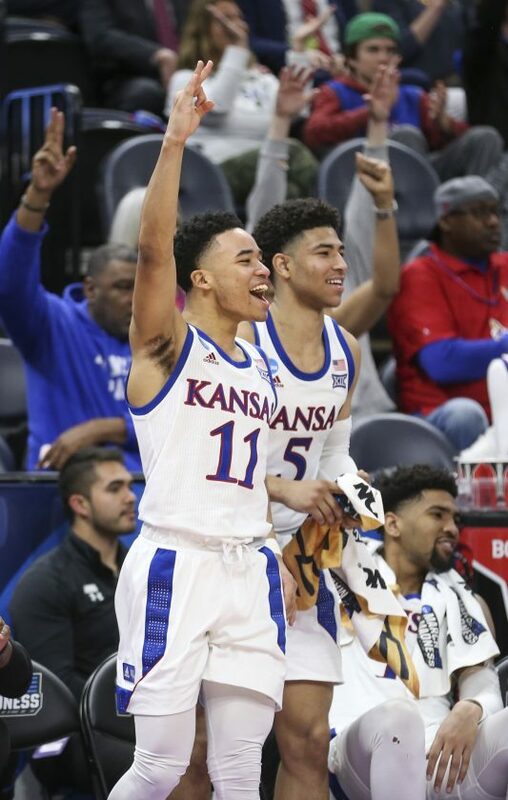 • Devon Dotson – I can’t recall anyone taking losses at Kansas quite as hard as Dotson did all season. From the first loss of the year at Arizona State (I’m still convinced that up until that point Dotson thought he would win every game he played at KU) to the tearful ending last Saturday, Dotson’s emotions often came pouring out following KU’s losses, which perfectly fits the way he plays with passion and intensity on the floor. Dotson will be back for the Jayhawks next season and he’ll have an even bigger role than he did this season. In addition to becoming a stronger leader, I look for the point guard from Charlotte to become a better scorer and to get even stronger. First-team all-Big 12 is well within reach for the sophomore to be, who will no doubt be a pro someday. 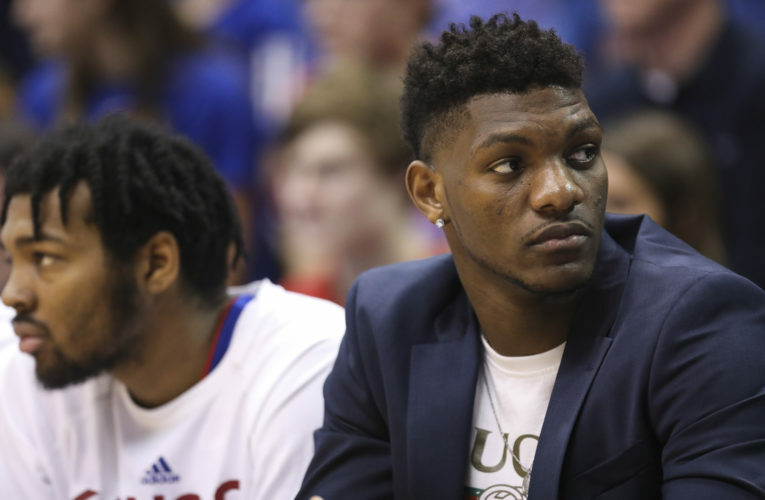 The hope among KU fans is that someday is still two or three years down the road, but Dotson is well on his way after a fabulous first year. 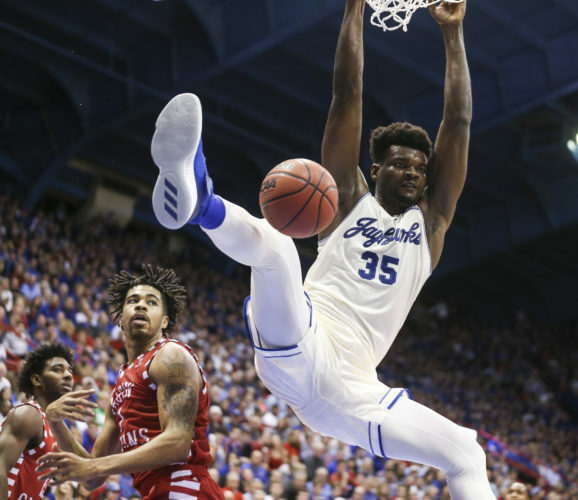 • Dedric Lawson – If ever there were a player who you thought might be willing to come back for his senior year just because of his vibe and personality, Lawson is it. But the reality of his situation makes it hard to see the junior forward returning. For starters, he averaged a double-double this season and was a unanimous pick for first-team all-Big 12 honors. If he were to return, he would have to at least do that again or risk hurting his stock in the eyes of the NBA. That’s pretty risky considering so few players have ever even come close to putting up the kind of numbers Lawson did under Self. Beyond that, Lawson has now put off his NBA dream for four seasons of college — two at Memphis, a transfer year and this season at KU. That’s a long time to wait for a player who once was a Top 10 prospect. And even though there are no guarantees that he’ll be drafted — my guess at this point is he’d be a second-round pick — I think Lawson is ready to roll the dice and get his pro career started. • David McCormack – His strong end to the season should fuel him for a big jump this offseason. And that is, without question, one of the brightest silver linings to come from the disappointing 2018-19 season. McCormack’s a monster. He has great size, an even better motor and skills that, when he harnesses them, will make him a load to handle for any team. Beyond that, the guy doesn’t know anything other than hard work. He’s a bright part of KU’s future — both in the immediate and long-term looks — and he’ll come back ready for a much bigger role in 2019-20. By the way, I’m still really struggling to transition to putting the year 2020 into my writing. Unreal! • Mitch Lightfoot – Speaking of veterans, here’s your guy. Senior Mitch will be back and better than ever next season, ready to give everything he’s got to his final hurrah with his beloved Jayhawks. 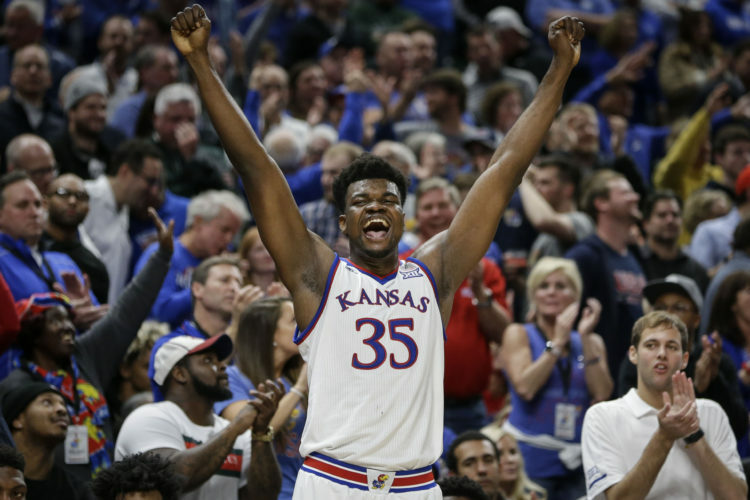 It’s far too soon to know exactly what that will mean in terms of the role he’ll play, but this much we know: For three seasons, Lightfoot has been a guy that people thought would not have a huge role and, for three seasons, he’s found a way to be a key part of KU’s rotation. No reason to doubt him now. That urgency he’ll feel from it being his last season — both when it arrives and in the offseason leading up to it — should push Lightfoot to not only bring the best out of himself, but to demand it from others, too. • K.J. Lawson – His is one of the most interesting situations on this entire roster. On pace to graduate this semester — he’s also getting married in July — the older of the Lawson brothers easily could move on before the start of next season. But there’s something about it that leads me to believe he’ll be back. I asked him in the locker room on Saturday if he and Dedric could do different things and go different ways and he said “definitely.” That doesn’t mean either has made up his mind yet on what the future holds, but it does mean that even if Dedric goes pro, K.J. could return to KU for another year. He loves it here and he found a nice role during the second half of the season. Like I said, interesting. • Charlie Moore – Moore had a rough year with the Jayhawks. He played, but often struggled when he was out there and did not look like the 13 points per game at Cal as a freshman player that he was. Beyond that, the biggest area where KU was hoping to get help from Moore — 3-point shooting — yielded just 26.7 percent shooting for the season from downtown and very little consistency. It’s hard to see Moore having any bigger role a year from now and, because of that, it’s not hard to see him exploring the idea of moving on. I’m sure he wants to play. And I’m not sure the minutes will be there for him at KU. Beyond that, as a junior next season, the clock is ticking on his college career. If he’s back, he’s a deep bench player at best. But don’t be shocked if he looks around and finds a better fit. • Issac McBride – Like Braun, I think this true point guard from Little Rock, Ark., also has a chance to come in and gain immediate playing time. The kid’s a scorer. And KU needs people who can score. It’s not just that he can shoot it or can finish — and he can do both very well — but McBride can create his own shot and scoring opportunities pretty much anytime and anywhere. He’ll have a golden opportunity to be the primary back-up to Dotson next season, and if he’s able to handle it, his presence will help Dotson a ton, too. 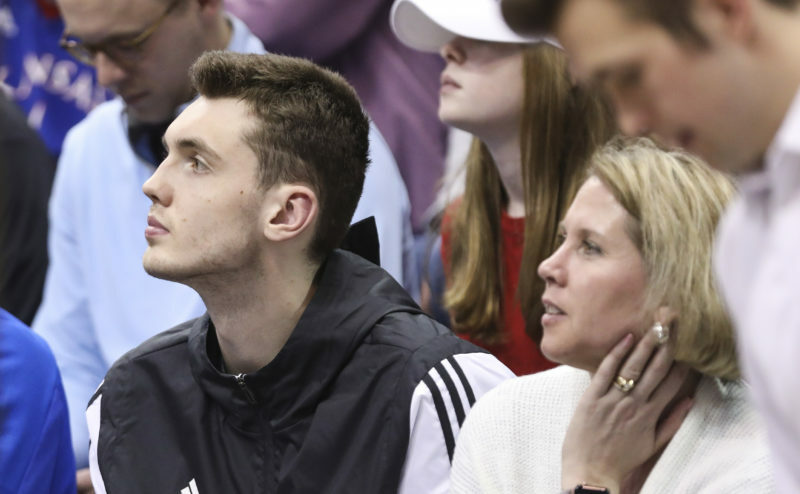 • Matt Hurt – Top 10 prospect in the Class of 2019 is still at the very top of KU’s recruiting wish list and there’s no reason to think that the Jayhawks can’t land him. They’ve been on him the longest and they’ve put in the time and resources necessary to sell Hurt and his family on the KU program and experience. And there figures to be immediate playing time and a big role for Hurt in the lineup regardless of who stays and who goes. Duke has made some noise in its pursuit of Hurt in recent weeks and those two are probably his top options at the moment. If KU can land him, he’ll turn the 2019 class into a big deal. 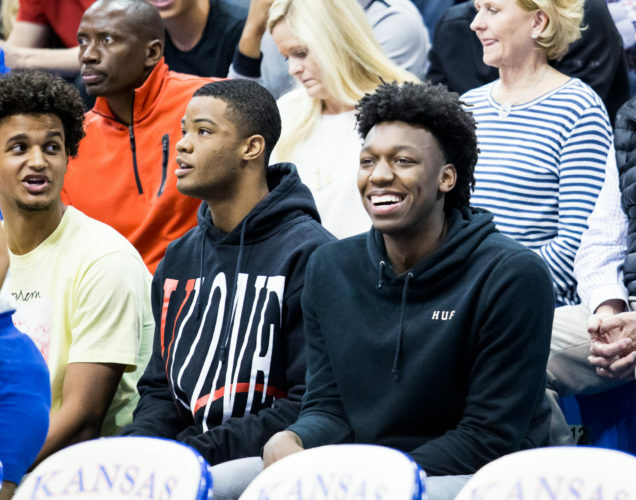 • Precious Achiuwa – The 6-9, 215-pound power forward from Montverde Academy has been on KU’s radar for a while and just recently took an official visit to campus. 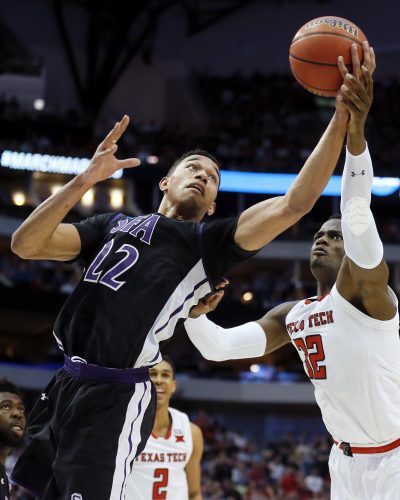 His physical style and good size would be a big get for the Jayhawks, who could be looking to replace a lot of rebounds if Dedric Lawson turns pro.